2018 Jaguar XE SV Project 8 review – is this SVO's best project yet? 2018 Jaguar XE SV Project 8 review – is this SVO’s best project yet? Ferociously fast and impressively capable track car that’ll make light work of daily duties. Con Cup 2 tyres struggle in the wet, there’s only 300 of them. There are clearly people like us working in Jaguar’s SVO skunkworks, because that can be the only reason for the existence of the XE SV Project 8. Designed in the same vein as mad, motorsport-inspired machines such as the BMW M4 GTS, the Project 8 is the brand’s most powerful road car to date, with a mammoth 592bhp from its supercharged V8; this is a big cat with some seriously sharp claws. Limited to just 300 units (all left-hand drive), the four-wheel drive XE is intended as a high performance saloon that’s just at home on track as the road. It’s also charged with highlighting SVO’s engineering ability, which is considerable when you consider how little of the standard XE makes it through to the finished product. It certainly doesn’t look like the cooking model, what with its massive wheelarch extensions that cover vast 20-inch wheels wrapped in Michelin Pilot Cup 2s, huge rear spoiler on stilts and jutting chin spoiler. It’s a similar story inside, where you can choose between a relatively sensible four seat layout, or a stripped out Track Pack set-up that ditches the rear bench in favour of a rollcage. It’s an impressive achievement, the Project 8, and 300 lucky owners will be getting a uniquely thrilling machine. It’s just a shame there are no imminent plans to apply some of the lessons learned with this $200,000 special to lesser models. SVO has really gone to town on the XE, starting with the bodywork. Only the roof and door skins are carried over from the standard model, although here they are stamped from aluminium. Carbonfibre is used for the wings, bumpers, bonnet and boot, while the front and rear track are increased by 24mm and 73mm respectively. Cut outs in the arches and the deep front splitter help reduce lift by an impressive 206 per cent, which is vital in a car that’ll crack 322kph. Under the skin, the Project 8 uses the same basic double wishbone suspension, but upgrades include the addition of a billet suspension knuckle with ceramic bearings, stiffer bushes and the adoption of ball joints for the upper control arms at the rear. The anti-roll bars have also been recalibrated, as have the adaptive dampers and the electric power steering. Go for the Track Pack option and you can manually lower the ride height by 15mm for circuit work, plus you get a roll cage in place of the rear seats. Brake upgrades run to carbon ceramic discs front (400mm) and rear (396mm), which are clamped by six pot and single pot Brembo callipers respectively. Despite tipping the scales at 1745kg in its lightest Track Pack guise (this upgrade saves a total of 12.2kg), the Project 8 is no slouch. Jaguar claims that the 0-100kph sprint is all over in 3.3 seconds, while a top speed of 322kph should be in reach. 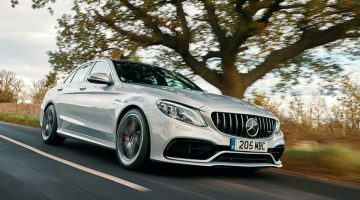 These attention-grabbing figures come courtesy of the brand’s familiar supercharged 5.0-litre V8, which benefits from some subtle modifications to the induction system, plus a modified exhaust that uses plenty of titanium in its construction. The result is a thumping 592bhp and a rippling 516lb ft of torque. 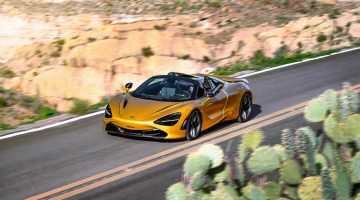 Putting all this performance on the road is a tweaked four-wheel drive system that has a heavy rear torque-bias in its raciest setting, with up to 100 per cent of the engine’s effort going to the back axle – although in Normal the car runs a 50/50 torque split. The gearbox is a massaged version of the standard eight-speed auto that delivers faster shifts, but lacks the smooth sophistication of the best twin-clutch units (I’m talking about you, Porsche). On the move, the XE feels every bit as fast as the numbers suggest. There’s a volcanic urge from the moment you squeeze the throttle pedal, and it continues to accelerate hard all the way to the rev limit cut out. Then there’s the noise, which is loud, but in the right way. Bellowing and crackling with all the exuberance of NASCAR at maximum attack. That the XE is fast comes as no surprise, you’ll also not be shocked to learn that it’s pretty good on track too – more of which later. However, what does catch you out is the Project 8’s ability to deal effortlessly with road duties, with one – the tyres. When it’s dry the Cup 2s deliver tenacious grip, but they struggled a little on the damp and greasy tarmac of our test route. It never got terrifyingly wayward like a BMW M4 CS (the four-wheel drive saw to that), but occasionally you’d have to cope with the odd twitch as they hit standing water or you attempted to accelerate hard and early out of a corner. However, it was controlled enough that you could consider the XE as an all-weather daily driver. Just. The rest of the time, the XE proved rapid, responsive and remarkably refined. For starters, it managed well with some of the ripped and torn roads, riding the surface with an impressive blend of suppleness and control – few track focussed cars this side of a Porsche 911 GT3 are as effective in this regard. It feels agile and alert too, the direct and meaty steering allowing you to place the car with confidence. Yes it’s wide, but it never comes across as unwieldy, and before long you’re picking apart tight and technical sections of road at an alarming rate. There’s even some throttle adjustability there, especially in Dynamic mode, which features the same steering and damping maps as Normal, but adds a sharper throttle and recalibrated four-wheel drive and e-diff. Once on track the Jag really hits it stride. The weather had improved significantly by the time we ventured out onto the undulating Portimao circuit, meaning the car and its trick rubber could perform at their best. We had also swapped to a Track Pack model. The first surprise is just how light on its feet the XE feels, allowing you to attack braking zones and corners with the sort of zeal that shouldn’t be possible in a car weighing the best part of 1800kg (only slowing from high speed for a particularly tight hairpin bend does the Jag betray its mass – although it never fails to stop and turn on the button). It’s not a darty car, the steering is too measured for that, but it responds with real alacrity, the fat 265 section rubber at the front clinging stubbornly to your chosen line. There’s great mid-corner balance, with either a lift or stab of the throttle helping to trim your trajectory and giving you the option of a neutral or subtly oversteering stance. Then on corner exit you can bury your right foot safe in the knowledge the four-wheel drive will catapult you down the next straight. The whole effect is to create a brutally effective yet remarkably involving experience. Perhaps surprisingly given Jag’s back catalogue (XFR S and XJR 575 for example), the Project 8 isn’t a tyre vaporizing sliding machine. You can provoke the rear to relinquish its grip, but the four-wheel drive system is keen to quickly restore order by shuffling torque forwards. For some this will be a disappointment, but there’s enough playfulness to keep things interesting, plus the performance benefits more than offset the lack of showboating potential. Since the limited run BMW M4 GTS went off sale there’s no real direct rival to the Project 8. However, consider its $198,980 price tag, performance figures and track focus, and its path crosses some very specialised machinery, such as the Porsche 911 GT3 RS and McLaren 570S Track Pack. Both these cars will be ultimately faster around a circuit, and a fraction more rewarding, but neither has the Jag’s humour or ability to, just about, pass itself off as everyday family car. Then there’s the car’s exclusivity, with just 300 examples being built at the SVO factory. It’s a rapid and exciting machine, the Project 8; it’s just a shame that, as it stands, Jaguar isn’t planning to put the lessons learned into a more affordable series production version of the XE. 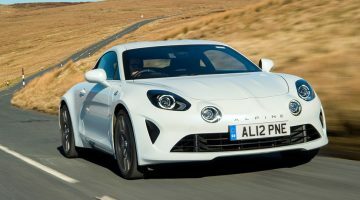 2019 Alpine A110 Pure review – does the back-to-basics A110 still have the wow-factor?